Sunwing tour operator has announced new direct service to Grand Bahama from six cities across Canada. 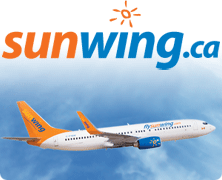 Starting January 16, 2014, Sunwing will be offering weekly winter service from Halifax, Montreal, Ottawa, Winnipeg and Edmonton to Freeport, Grand Bahama, along with year round flights from Toronto. This winter, sun seekers, golfers and families can escape to Grand Bahama courtesy of Sunwing as the tour operator announces new direct service to this island paradise from 6 cities across Canada. Starting January 16th, 2014, Sunwing will be offering weekly winter service from Halifax, Montreal, Ottawa, Winnipeg and Edmonton to Freeport, Grand Bahama, along with year round flights from Toronto. Customers booking their winter vacation by August 31st can take advantage of price protection with Sunwing’s Price Drop Guarantee and pay a reduced deposit of just $50 per person. Sunwing offers a great selection of Grand Bahama hotels at introductory prices, including the brand new Memories Grand Bahama Beach and Casino Resort, a 4 1/2-star all inclusive family-friendly resort located on a pristine stretch of white sandy beach. Memories Grand Bahama offers an impressive array of all inclusive services and amenities including free unlimited green fees at the Reef Club Golf Course, designed by Robert Trent Jones (mandatory golf cart not included). Guests can also try their luck at the onsite casino, or stroll around the nearby shops and markets. Vacations to Memories Grand Bahama Beach and Casino Resort start from just $995 +$350 taxes for 7 days, departing from Toronto on January 18th, 2014. All Sunwing Vacations direct flights and packages to Grand Bahama include “Champagne Service”, which features hot towel service, a choice of hot meals at lunch and dinner served with a choice of wine, and complimentary in-flight entertainment, including first run movies, as well as a generous 20kg baggage allowance. For just $40 more per flight segment, travellers can upgrade to Sunwing’s Elite Plus service, which features advance seat selection, separate check-in at a majority of airports, advance boarding, 30 kg baggage allowance, and extra legroom seats. For more information or to book your Grand Bahama vacation, visit www.sunwing.ca or contact your local travel agent. LJM Maritime Academy partner and Campbell Shipping managing director Chandler Sands says that the academy is trying to strengthen the maritime industry and attract more Bahamians. Now in their third year, the Citywealth International Financial Centre Awards were established to highlight the excellence of the advisors and managers in the private wealth sector in the major international financial centres. 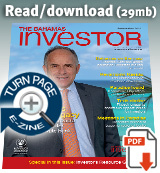 The Bahamas has been shortlisted in the International Financial Centre of the Year category, and firms based in the jurisdiction have also been selected in such categories as Caribbean Law Firm of the Year and Caribbean Private Bank of the Year.